There are over 65 million refugees in the world, fleeing war, famine or persecution based on race, religion, nationality, political opinion or social group. Refugees are part of our human family and entitled to their rights to peace and protection. World Refugee Day is June 20—a day to honour the strength and courage of refugees and reflect on ways to help uprooted women, men and children on their journey to find peace. The plight of hundreds of thousands of Rohingya people has become the world’s fastest growing refugee crisis. 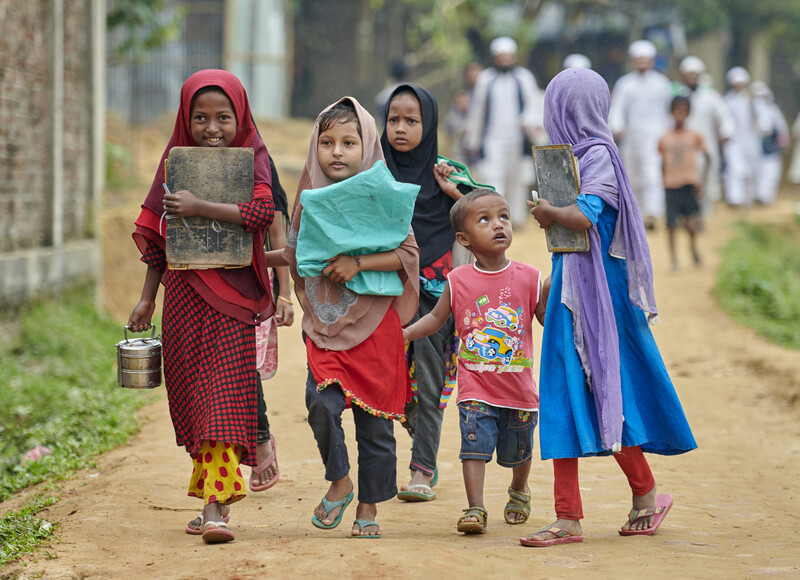 Since August 2017, unthinkable suffering caused by escalating violence in Myanmar’s Rakhine state has forced over 700,000 Rohingya refugees into overcrowded settlements in Bangladesh, where necessities like food, shelter and sanitation are extremely limited. The approaching monsoon season will worsen an already dire living situation—flooding and landslides could demolish temporary shelters and exacerbate illness. This World Refugee Day, stand with Rohingya refugees. Pray for their safety and help ease their suffering by supporting relief efforts that address food, water and sanitation, shelter, emergency medical care and psychosocial assistance. Learn more about this response with Canadian Foodgrains Bank and the ACT Alliance. PWS&D continues to respond to refugee crises from Syria, South Sudan and the Democratic Republic of the Congo. Click here for more information. Welcoming refugees to Canada is a response to Christ’s call to serve and defend the vulnerable and the persecuted. Learn more about our refugee sponsorship program. Welcoming the Stranger will call your church together to reflect on those enduring displacement around the world. Additionally, you can learn more about conflict, migration and refugees in Forced to Flee—an activity for youth and young adults. Use your voice on social media: use the #WithRefugees hashtag on your Twitter, Instagram and Facebook posts (and feel free to mention @pwsd_canada).